A popular request for a first birthday is a number 1, but why just settle for that? Combine the number with their favourite characters to keep little one happy, too! 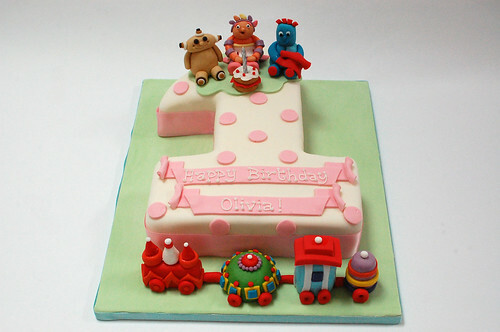 The Number 1 In the Night Garden Cake – from £90. Next → Next post: Vespa Riding Psychotherapist’s Cake!